Theatre Central is looking for High School age actors for a performance of “A Bad Case of Stripes” which will be produced by the Children’s Theatre course and performed during Central’s “Weekend of the Arts” on May 2. The Audition information is listed below. Please direct any questions to CD Adamson (adamsonc@central.edu). 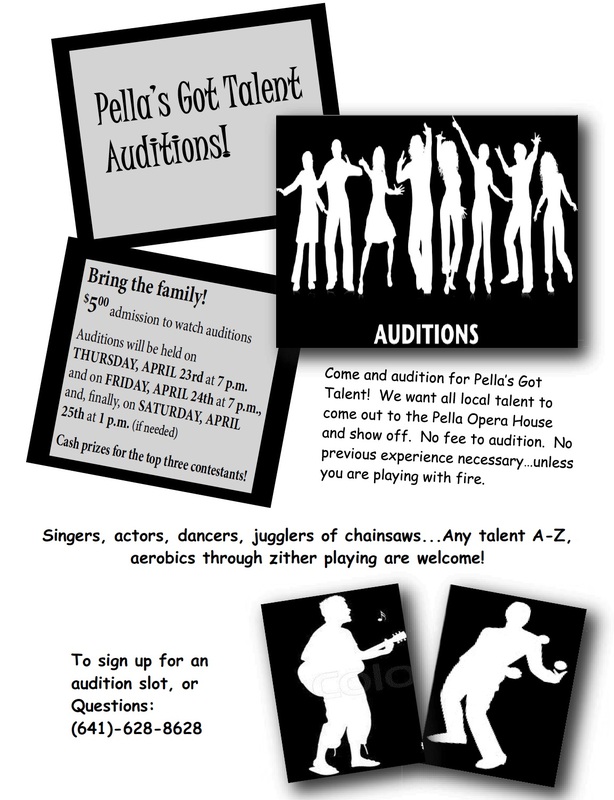 Union Street Players, Pella’s award-winning community theatre, will hold final auditions for their spring production of Ham Buns and Potato Salad this Saturday, February 8 (10:00 a.m. – 12:00 p.m.) at the Pella Community Center. Ham Buns and Potato Salad is a full length comedy in two acts written by local playwright, Tom Vander Well. Those who cannot make the audition and are still interested in being considered for a part are asked to contact the show’s Director, Ann Wilkinson (pmscasting@aol.com). No roles are precast and no experience is necessary. Performances scheduled for April 10-13, 2014. Five roles for Men. Four roles for women. One role for a preteen girl. Those who cannot make either audition and are still interested in being considered for a part are asked to contact the show’s Director, Ann Wilkinson (pmscasting@aol.com).